Thank you for taking the time to learn more about orthodontics, and your orthodontists at Designer Braces & Invisalign®. 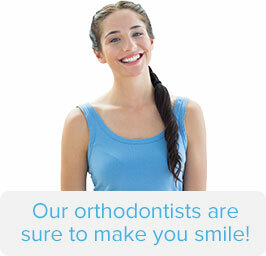 Established in 1984 to provide affordable customized Invisalign® & braces for children and adults. Designer Braces & Invisalign® has 3 convenient NY locations in Queens and Manhattan. Our state-of-the-art offices combine comfort and premium orthodontic care to give you a healthy smile that will last your lifetime. Please use this web site to learn more about orthodontics for children and adults including Invisalign®, small metal braces, clear braces, and lingual braces.